Para-Medic #5- Brolly Good Show! And it’s done! Last night I faffed about joining strips of pinked bias fabric together, then gathering 16 tiny sections and pinning it all to the edge of the lace. My wife was very complimentary, and I was chuffed…but then I started to flap about how to actually sew it down. Those gathers needed to … Continue reading Para-Medic #5- Brolly Good Show! Para-medic #4, the home stretch? So close, but too tired to finish it off after all. I got the lace arranged and attached, using fairly loose running stitches on the right side, and moderately small stitches inside. Not as neat as it should be, but I’m losing the will to live. 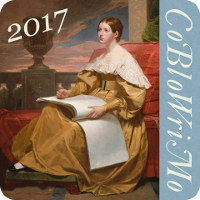 The pinked and gathered strip makes a decent enough … Continue reading Para-medic #4, the home stretch? BUT, the first deadlines are approaching- will I make it? 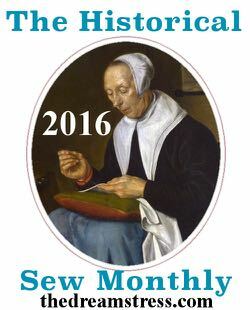 January 2016, Historical Sewing Monthly, ‘Procrastination’. My life’s story… I did the adjustments to the top of the parasol cover, and it worked very nicely. I did some slow steady hand sewing the other day, and got the parasol edge trimming attached. Quite nice too, though … Continue reading Hurrah for payday!